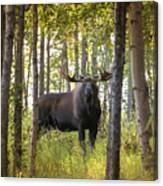 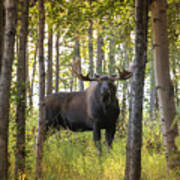 There are no comments for Bull Moose In Fall Forest. Click here to post the first comment. 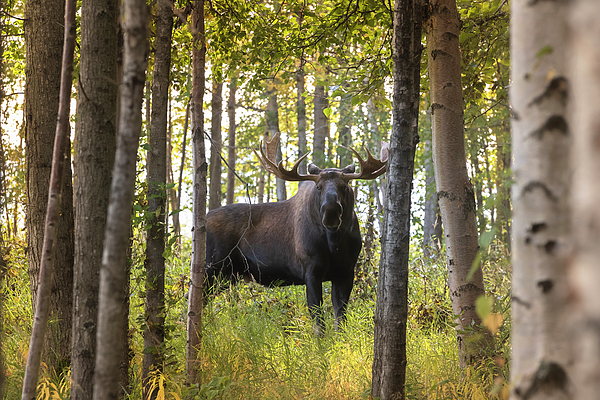 Bull moose standing in autumn forest.